Boy am I bad at blogging. I've been in Dallas for a week but you wouldn't know it from this site. Bigger news is that I've been in Trinity, TX shooting the Spirit international amateur golf tournament at the Whispering Pines golf course. 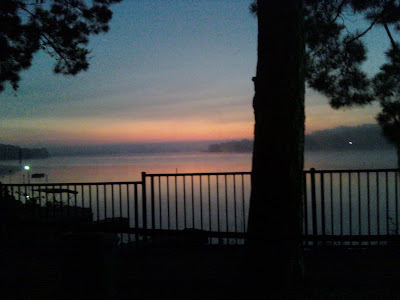 We got to sleep in a little longer today, here in Trinity,TX and enjoy an amazing sunrise on the lake. Expect a full report later including my hole in one shot, the sexiest foreign women, and chasing of deer.